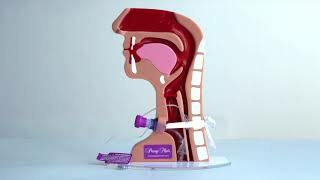 Learn more at our website: http://www.passy-muir.com Invented by a patient named David Muir, the Passy Muir Tracheostomy & Ventilator Swallowing and Speaking Valve is a simple medical device used by tracheostomy and ventilator patients. 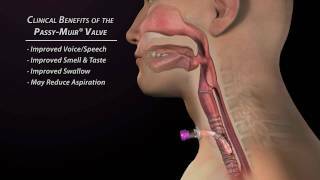 A speaking valve allows a patient with a trach tube to vocalize. 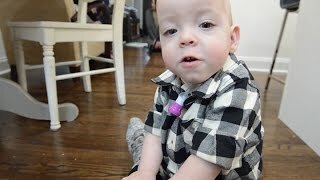 Watch this family trial a speaking valve and hear their baby’s voice for the very first time. 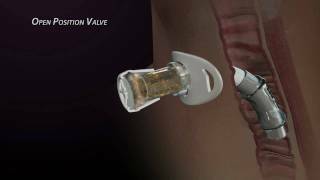 http://passymuir.com/products_edu http://passymuir.com/products_valves#adapters Learn how to properly deflate attach the Passy Muir® Valve in-line with a ventilator in this video, featuring our anatomical model, Tracheostomy T.O.M. 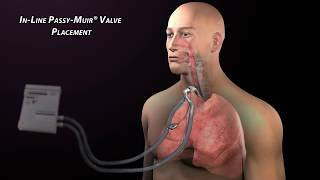 http://passymuir.com/products_edu Learn how to properly connect the PMV secure it to the Passy Muir® Valve in this video, featuring our anatomical model, Tracheostomy T.O.M. http://babydollserena.blogspot.com/ This is my little (reborn) girl Serena trying the tracheostomy speaking/swallowing Passy Muir Valve (PMV) for the VERY FIRST TIME EVER. (reborn RP, so please ...respect..NO HATE ...AT ALL ...thanks). Rebekah 'talking' with a Passy Muir Valve taken December 2nd, 2009. Rebekah is a 7 month old with full trisomy 18. Trisomy 18 is defined as an extra 18th chromosome, a condition that is defined as 'incompatible with life.'. She was not expected to live due to severe apnea that had her turning blue around the clock. Turned out the apnea was all obstructive and she has not had an apnea event since her tracheostomy! The obstruction is due to micronagia (small jaw) and her 'normal' tongue. 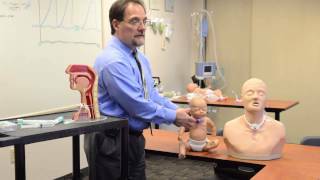 When a baby is trached, they cannot make sound because no air passes the vocal folds and infant trachs are not fenestrated to allow speaking capability. Rebekah is wearing a PMV (Passy-Muir Valve) which allows the air to be inhaled through the trach, but it must be exhaled through the mouth and nasal passages. You must start slowly with a PMV and work up time and tolerance with it as it builds up lung strength and more mimics a 'normal' breathing pattern. You must be careful of the obstructions that exist. 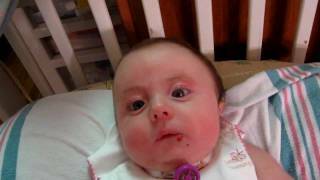 This video is amazing for us because when Rebekah was first trached, she could not wear the PMV unless she was fully sitting up or on her side (so that her tongue did not fall back into her throat). She is lying down in this video on her back, propped up only slightly on a Boppy pillow. It is also amazing because she didn't really make much noise when she wore her PMV. She just recently 'discovered' she has a voice and she is having fun exploring making sounds! She is even managing to purposefully push some air past her trach (without the PMV on) to make a few squeaks here and there! She currently can tolerate wearing her PMV for about 30-45 minutes at a time. We are hopeful that she will continue to get better and will be decannulated one day. :-) You can read more about Rebekah's incredible journey at http://buddzoo.blogspot.com. Thanks for watching! One of a series of educational medical resources from the UK National Tracheostomy Safety Project (a collaboration between key stakeholders in the UK). 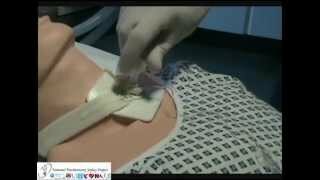 These videos describe the standardised approaches for managing airway emergencies for patients with tracheostomies. More resources are available at www.tracheostomy.org.uk and via our SmartPhone Apps. Learn more at our website: http://www.passy-muir.com. Invented by a patient named David Muir, the Passy Muir Tracheostomy & Ventilator Swallowing and Speaking Valve is a simple medical device used by tracheostomy and ventilator patients. This video explains the benefits of using the PMV007 inline with mechanical ventilation.